VAIL – The Yoga Studio at the Vail Athletic Club (VAC), part of The Vitality Center at Vail Mountain Lodge & Spa, is introducing a yoga fundamentals series designed specifically for newbies, skeptics and anyone wanting to learn more about the basics of vinyasa yoga. The four-week course, taught by local yoga instructor Tara Goike, takes place on Tuesdays in June (June 7, 14, 21 and 28), from 4 to 5:05 p.m. Anyone intimidated by the idea of yoga is encouraged to attend this month-long series, which features and explores proper alignment, sun salutations and basic yoga flows, use of the breath, Sanskrit names and the benefits of yoga poses. The series is designed to inspire confidence, and provide participants with the fundamentals they need to feel comfortable in any of the VAC’s regularly scheduled classes.The Tuesday sessions are exclusive and will provide a unique group dynamic. All participants receive Baron Baptiste’s Journey Into Power and are encouraged to attend any yoga classes at The Yoga Studio.Goike has been teaching vinyasa yoga in the Vail Valley for seven years and has been teaching Foundations Yoga at the Vail Athletic Club for one year. 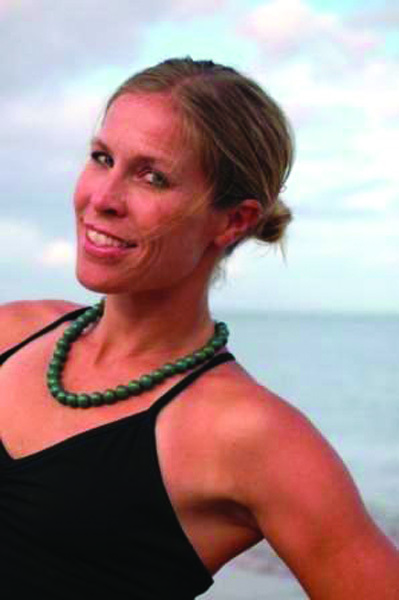 She currently is studying under Shiva Rea in prana vinyasa flow to gain her 500-hour certification. She loves sharing her knowledge of yoga with others in a fun, simple way.The Foundations Yoga four-week series is priced at $50 for VAC members and $200 for guests; guests receive VAC membership for the month of June and are invited to continue their membership with no initiation fee.For information or to register for the Foundations Yoga series at the VAC, visit http://www.vailathleticclub.com or call 970-476-7960.